The first time you hop into the driver’s seat of an RV, you might feel like you’ve entered the captain’s chair a spaceship. At the least, you’ll feel like you’re in a semi. When you compare an RV to an SUV, they seem quite large, and it only gets worse if you compare them to sedans. Yes, RVs are large! As the driver, you’ll undoubtedly feel the difference and it’s perfectly reasonable to feel intimidated by it at first. 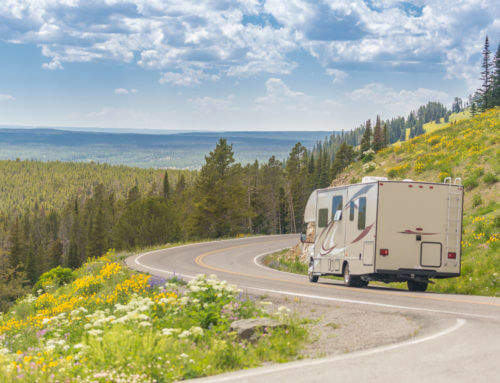 However, before you allow yourself to become completely overwhelmed, take a look at our essential RV driving tips for beginners. Before you go anywhere, even just down the street; first you need to know what your clearance level is. No style of RV works when the roof gets scraped off at a low overpass. So, check your manual and find out what the height of your RV is so that you can avoid trouble with low clearance tunnels and bridges. If you’re forgetful, put the information on a post-it note and somewhere on your dashboard. That way you can drive with confidence and take an alternative route when necessary. A longer vehicle means wider turns. Take some time to practice in a parking lot or a low traffic area so that you can get used to how the RV handles while driving. So, be aware of your wider turns and aim to angle the vehicle out farther than you would your smaller car. Because you’re driving a bigger vehicle, you take up more space. It will take some time to adjust to the new dimensions. So, rather than making a cross-country trip right away, do some practicing on back roads and in parking lots to warm up. While you may feel confident as a driver, it’s best to be cautious. 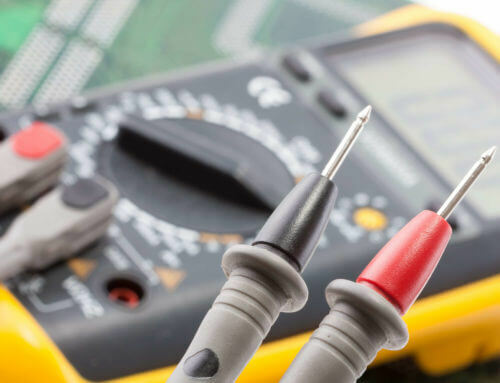 After all, you don’t want to damage your new or rented RV due to a rookie mistake! Be patient and go slow. An RV isn’t just larger; it weighs a lot more. That means that you need a bit more time to stop than you would in a smaller car as your RV’s greater inertia will resist stopping. What does that mean? Start braking sooner when approaching a stoplight or stop sign. Also, leave a longer follow space on the highway between yourself and the car in front of you. That way, you’ll have plenty of time to stop should the driver in front of you slam on the brakes. Going up hills and mountains may be slow, but you’ll be fine. It’s the downhill journey that can be difficult. Make sure you use a lower gear when going down a large hill or mountain and brake in short spurts. This will help ensure you don’t overheat your brakes by holding them down for a prolonged period. You don’t want to become a runaway RV barrelling down a mountain. So, be cautious and control your speed from the very beginning. 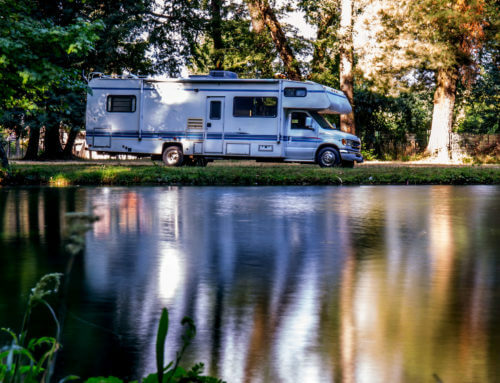 Driving an RV can be a delightful experience, even for new drivers! 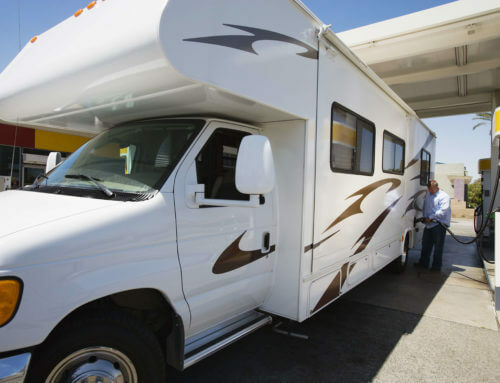 All you have to do is get some practice and be aware of the RV’s size and how that impacts your driving. 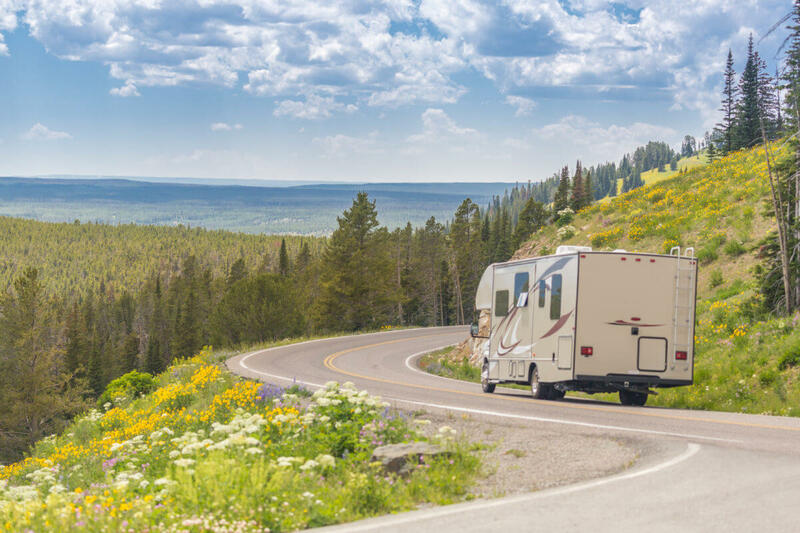 With these tips in mind, you can climb up behind the wheel of your RV with confidence! Need RV repairs or services? Contact Farace RV. We look forward to serving you!